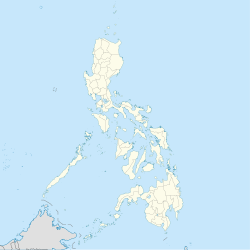 Allacapan, officially the Municipality of Allacapan, is a 3rd class municipality in the province of Cagayan, Philippines. According to the 2015 census, it has a population of 33,571 people. It is situated in the north-western periphery of Cagayan, bordering Apayao. It is the headquarters of GV Florida Transport. Allacapan has its beginning as a small village in the jungle vastness, inhabited by Negritoes, also known as Aetas. Ilocanos mainly from Ilocos Sur, among them future town mayor Santos Martinez, discovered it in quest for better land and eventually dominated the area. Allacapan was founded as a municipal district of Tawit, Mountain Province, in 1926. It was ceded to Cagayan in 1928, and finally became a regular municipality in 1945 by virtue of Commonwealth Act No. 590 authored by Congressman Miguel Pio. The history of Allacapan has a series of existing episodes and transitions. During the Japanese occupation, the Japanese forces established a garrison in the heart of the community from where echoed moars of torture inflicted upon prisoners of war, most often, innocent civilians. Later on, the Japanese burned the municipal hall, including the school building in the old site of Daan-Ili. The incident aggravated the fear of the civilians and they fled to the mountains. After liberation, disgruntled ex-Army men who were not satisfied with their backpay checks took to the hills with their rifles and joined the underground movement. Allacapan then became a hotbed of the Huks (HUKBALAHAP or Hukbo ng Bayan Laban sa Hapon). Their atrocities resulted in the kidnapping of then Mayor Agustin Gorospe in September 1951, the burning of the newly constructed town hall, and the looting of the local treasury. The construction of the highway from Magapit, Lallo to Bangag, Aparri traversing Allacapan and the opening of the Magapit Bridge to traffic, facilitated mobility of trade and commerce. Allacapan suddenly became a local point. It is now accessible from all points and is fast becoming an urban community. The municipality's name came to be when Francisco Umengan, an ex-municipal president from Aparri, was annoyed by the skittering of dried leaves heaped within the vicinity. On his inquiry about the significance of the noise, his Negrito guide told him "alla-appan" meaning "trap." Umengan then named the place "Allacapan" and the name has remained to the present. Allacapan is politically subdivided into 27 barangays. In the 2015 census, the population of Allacapan was 33,571 people, with a density of 110 inhabitants per square kilometre or 280 inhabitants per square mile. ^ "Allacapan, Cagayan: Average Temperatures and Rainfall". Meteoblue. Retrieved 27 October 2018.